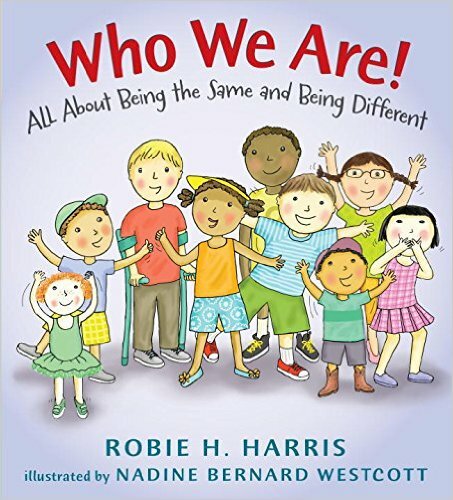 Another in the series “Let’s Talk About You and Me.” In this trip to Funland, Harris explores the physical characteristics that make us the same and make us different. As a read-aloud, this is great for kids just learning about the wider world. Illustrated with a lot of detail, the book shows many examples. On the very first page, the reader sees a wheelchair, a stroller, and a kid riding in a backpack. Clothing is another highlight – from shorts, T-shirt, and baseball cap to a tunic, pants, and a head scarf. Bodies are big and small, all with heart, muscle, and belly button. Most with ears, nose, and mouth. Hair comes in all shades and stages of curly. So does skin. Eyes are all different shapes and colors. Skin color depends on melanin. Many characteristics come from your family. Feelings are important and are things we share with everyone. So be aware of the feelings of those around you. We were all somebody’s baby once. Where can you find striped animals? Perched on a peak / y encaramadas en altas cumbers. And camped by a creek / y echadas junto al arroyo. This English/Spanish bilingual edition is the latest offering from the author. Using minimal text, the book covers a variety of striped mammals, insects, and aquatic creatures posing in their natural habitat. We see ring-tailed lemurs drink from rivers, poison frogs propped on logs, zebra moray eels twist in the sand, and a tabby cat curled in a child’s arms. 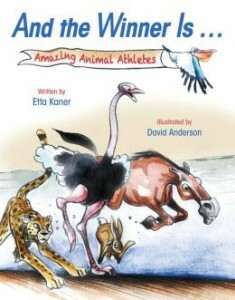 Stockdale never names the animals, but their identity is revealed in the back pages along with the answers to why animals have stripes (one or two sentences of information are provided for each animal). Readers will also enjoy guessing which stripe belongs to which animal in a memory matching game. 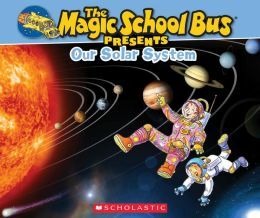 In the classroom, this informational book could be used in both science and literature lessons. 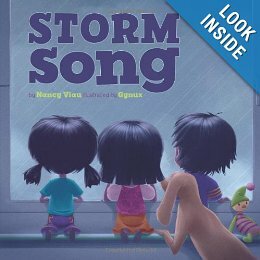 It’s a great introduction to patterns, animal markings, and camouflage, while the short rhyming text uses alliteration to enhance the literary skills of young readers. Stockdale’s illustrations are sure to mesmerize a first grade audience. Using bold colors and thick lines, her acrylic artwork really pops off the page. 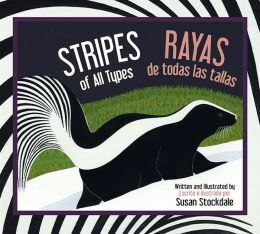 Visit the authors website for more information and other nature titles: www.susanstockdale.com. This beautiful little book packs a lot into a very few words and pictures. It allows first graders and older to see common birds (cardinal, American robin) up close and to learn about birds in other parts of the world (common murre, magnificent hummingbird). It is a valuable introduction to the English/Spanish bilingual world. And it contains a wealth of information for those who want to know more. 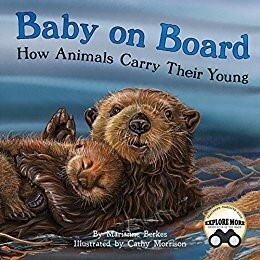 As a read aloud or for independent study, this volume of the “About” series provides a solid basis for comprehension of nature and conservation plus a boost to literacy skills. 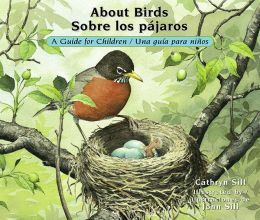 It is presented as a picture book with a short sentence for each bird, translated into Spanish. e.g., “Some birds build nests on the ground. / Algunos párajos hacen sus nido en la tierra.” is followed by a realistic painting of an ovenbird and its nest. The afterword has longer explanations of each picture, a glossary, and bibliography with books and websites. Detailed and realistic illustrations make the reader feel like they have actually seen the birds. 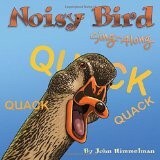 As birds move fast and are shy of humans, it helps children to recognize our feathered friends.